Left to right: Billy, John, Lisa, Nathan, Emily, Winton, Tony. 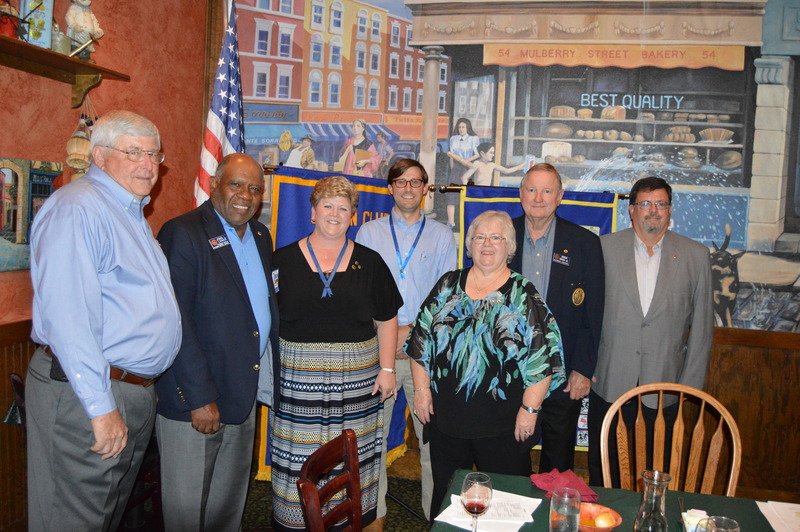 Six past and future Civitan governors joined us at our annual Awards Banquet September 18. Past governors included Billy Kennedy, Lisa Abercrombie, Winton Hodges, and Tony Ledbetter. District Governor-elect Emily Hodges installed our new officers and initiated three new Club members. No word, yet, from 2015-16 Club President Nathan Waters on his future plans.